Building a new home is a very exciting and full-on experience. Getting to see your dream home come to fruition is very rewarding, and that’s why it’s important to ask your builder the right questions before construction begins. To make sure your investment turns out the way you’ve intended, there are several things you need to consult on with your builder so both parties are on the same page. After all, this is a big project you are undertaking and you need to have your bases covered. If this is your first time building a home, there may be queries you haven’t considered, so rather than scratch your head here are questions that Aussie builders recommend you ask before the construction begins. “’Are you registered’ and ‘How long have you been registered’ are two you should ask. Also ‘Do you have references or contacts that would be willing to talk to you about the experience’”. In addition to the mentioned questions that builders recommended you ask before breaking ground on the site, there are also some general questions that are worth asking as well. It may seem like an obvious point to make, but you should always ensure the builder you choose is licensed. The easiest way to find out is to ask them. Always deal with licensed professionals for any building work, especially for large projects. There are websites for each state used checking a builder’s licence and validity, making it easy to double check the details. No one thinks that the worst will happen, but it is a real possibility that you need to be aware of. In the event that your builder passes away, becomes insolvent or simply goes missing without finishing the job, Home Indemnity Insurance will cover the cost. Before paying any money to a builder, ensure that they provide you with a Certificate of Currency for Home Indemnity Insurance. Although bankruptcy isn’t a reflection on the kind of work the builder can achieve, it may give a glimpse into the financial situation the builder is in. An ex-bankrupt or bankrupt builder may leave the job half finished if they no longer have the funds to complete the job, leaving you with a half a house. Then, there’s the inevitable job of finding a new builder who is willing to finish half a project that has already been started. 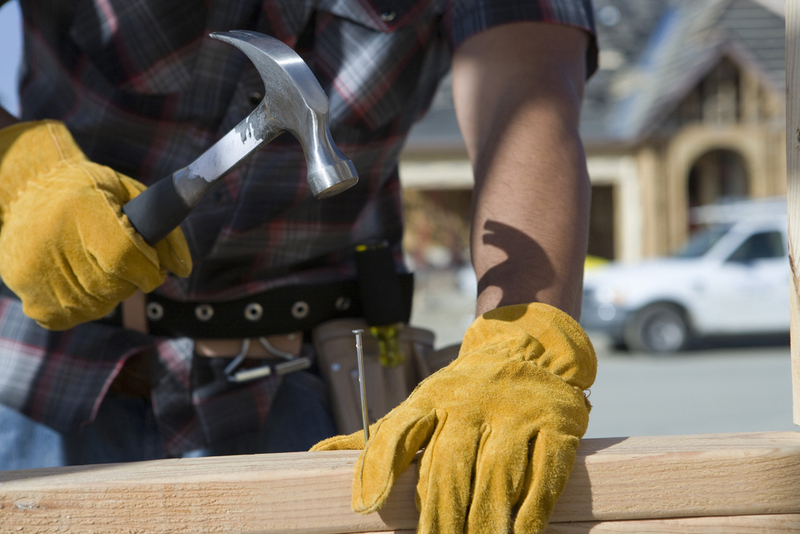 It’s simply easier to hire a financially stable builder in the first place. Builders will provide a period of time after the completion of the building to allow for any repairs or maintenance required. Usually, a residential unit will have a period of approximately six months, whereas a commercial property might have a longer period of between twelve to eighteen months. One of the easiest ways to tell if a builder is competent and experienced is to see completed projects. The best thing you can do is ask your builder for references from past customers. A builder who has a good relationship with past customers is generally a builder you can trust to do the job. They may even have a customer that is willing to allow a walk through of their home so you can look at the workmanship first hand. A show home allows you to see and walk through a build they have completed to give you some peace of mind about their standard of work. It may not seem like a big deal if the builder you want to contract has a couple of other “side projects” while working on yours, but what if one of their other projects turns out to be harder than expected? You could be left with a builder who has too much going on and leaves your project unattended. They may even sub-contract other builders to work on yours while they’re busy doing other things. This may not be an issue, but you will not know the competence of the sub-contractor. Instead, it is best to have the full attention of your builder. If the builder can give you an estimated timeframe, you will have a basis for any arrangements you need to make in the meantime. If you find yourself with a builder who doesn’t know when they will get the job done, they might not be very experienced in this kind of build. The builder should have a good idea of how long a project will take based on the size and difficulty of the home. If the builder has any concerns about the project, they should be upfront with you from the beginning. Ask them to provide you with the options they would consider should any of these difficulties arise. It’s fine if problems do come up, but a competent builder should know what to do if the situation does occur. Finding a builder can be a difficult task. Because there are many builders in the industry, you may want to just opt for whoever is the cheapest and easiest to find. However, people are often disappointed with the cheaper alternatives as they can sometimes be unlicensed, unqualified or simply not experienced enough to complete the job properly. By asking some of these key questions, you can ensure that you are choosing the best people for the project. Turning Your House Into a Dream Home?